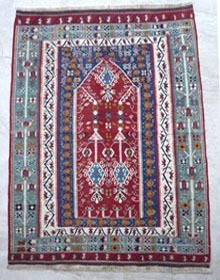 The four kilims below are copies of old Ottoman designs that were used for kilims in Palaces and mansions. They are very finely woven with hand spun vegetable dyed wool. 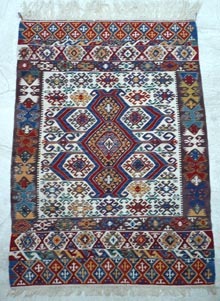 The skill of the weaver is evident in the beauty of the woven designs and each kilim is a work of art. 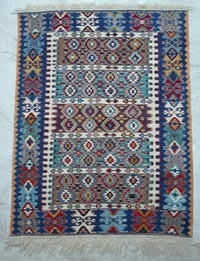 This standard of weaving has now become rare in Turkey. 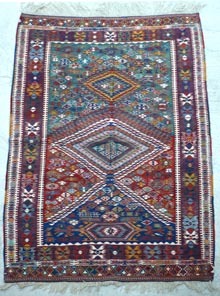 The two kilims below are fine examples of the "star" of kilim designs, Konya Nazumla. 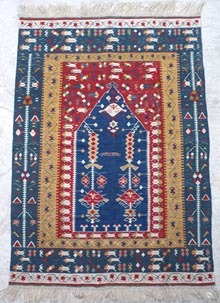 This old tribal design is now only woven in two villages in the mountains south of Konya and in the city by women from those villages. 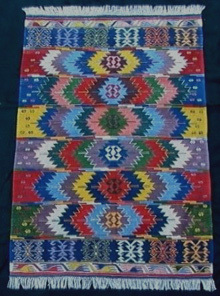 The weaving is so complex that other weavers cannot copy the design whereas weavers from the two villages have the skill to weave any design they wish. At a last rough count, we estimated that maybe only 30-35 new Konya Nazumlas were woven each year, and those of variable quality. So I am extremely pleased to offer for sale these now rare and beautifully woven examples. 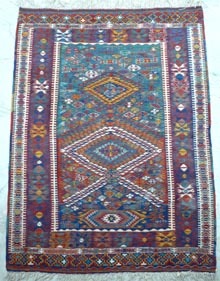 The two kilims below are copies of old designs woven with handspun natural dyed yarns. 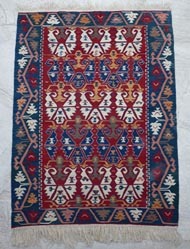 The yarns are more robust and make for a heavier kilim suitable for hard wear on the floor and at the same time adding to the decor of the room or hall.